Thanks. Copied the wrong description. Apocryphiliac, cbach8tw and NoRest like this. I’ve got a new an unused Leuku up for grabs. 1/8” A2 SFT, green dyed curly maple over natural liners and blue pinstripe. No sheath. Asking $SOLD shipped to the US. CAD and KP like this. For sale is an unused Bushfinger with quarter sewn green dyed oak. 1/8 thickness A2 with tapered tang, black liners and lime pinstripes. I also have an unused Jou Fou dangler sheath made for the knife. Higher res photos can be sent on request. This knife is a stunner. Price for the knife is $OLD, Sheath available for $80. Cheers, JC. rpn, burnside, got2hav1 and 2 others like this. Price drop on post 14299 and 14302. Must be 18 and know your states laws to purchase. FOR SALE!! Due South Tugaloo in blackwood and red liners. 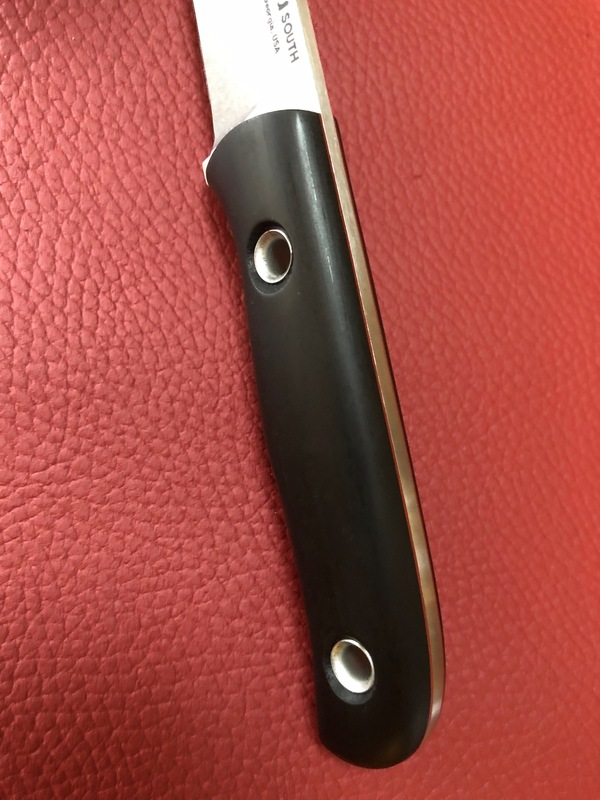 Steel is S35VN in 1/8" SFT. Includes sheath shown. 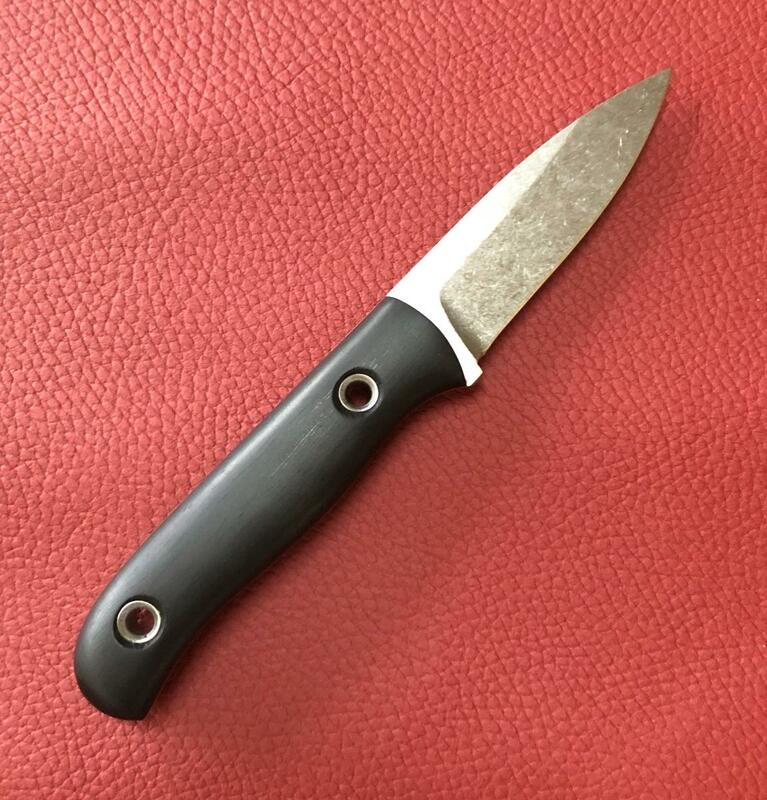 This is a pro hiking buddy blade with a new twist on it from Olde Towne Cutlery. Price included priority shipping to ConUS. (Friends and family payment always welcome). No trades. DM for any additional questions. This has been in my collection. never carried, used or sharpened. Condition is excellent and in the way I received it. First to claim with a reply and DM follow up for PP info get's it. must be 18 years old to purchase and know your state's knife laws. Warrior108 and Nbrackett like this.